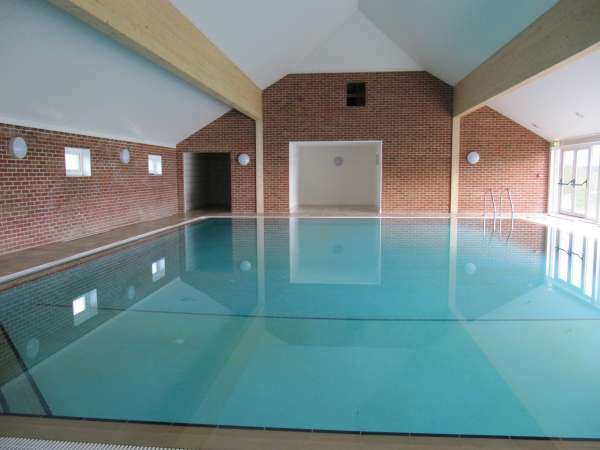 Enjoy the exclusive use of a beautiful pool with superb facilities commanding lovely views over the Waveney Valley and surrounding farmland. 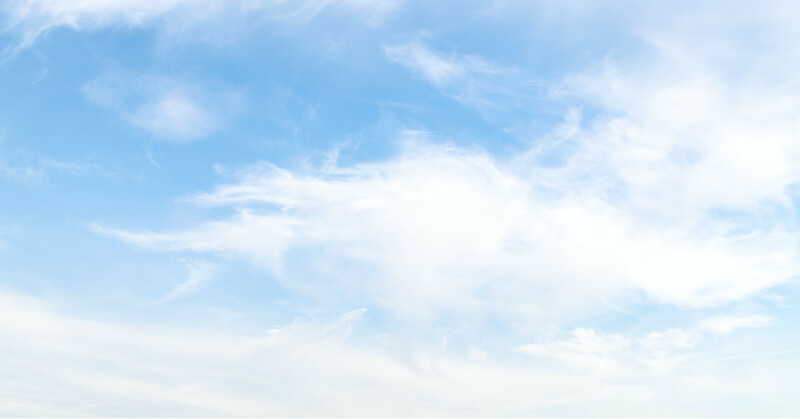 Whether you swim for recreation or relaxation , for fun or keep fit, Oaklands Leisure Pool offers you a healthy activity in a perfect setting. 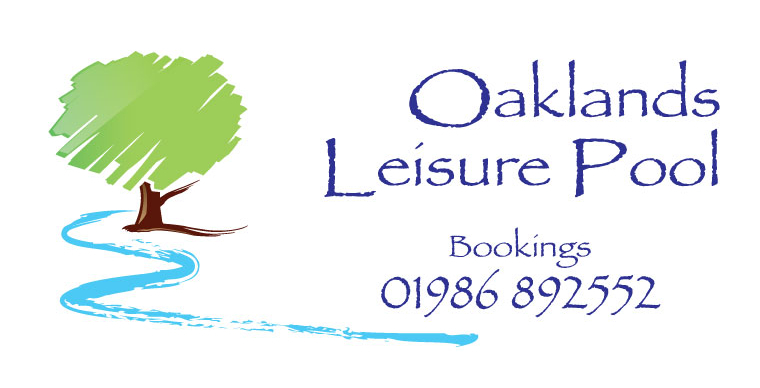 Booking a session at Oaklands Leisure pool gives you private use, for you, your family and friends for half hour swimming sessions. You have time before and after your swimming time-slot to enjoy the much admired ‘wetroom’ style showers and spacious changing rooms. 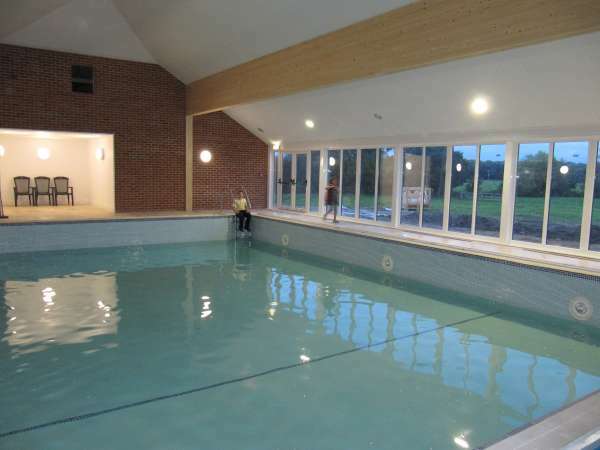 As the pool was purpose built we have thought through our design; we have tried to ensure easy access for all ages and abilities. The water is at floor level; improving ease of access and visibility of those needing supervision. More confident swimmers will be able to enjoy the views as they swim. 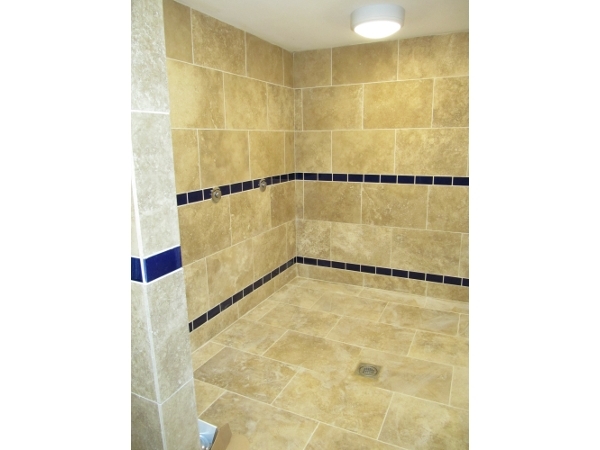 There is beautiful natural stone flooring throughout and level flooring for accessibility. 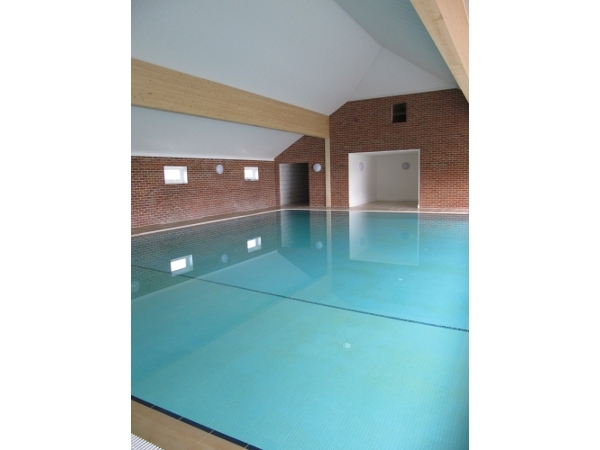 A minimum of 2 and a maximum of 8 people can use the pool making this a reasonable option for small groups or families. The swimming slots are booked per ‘term’ which works out at approx 12-13 week period. 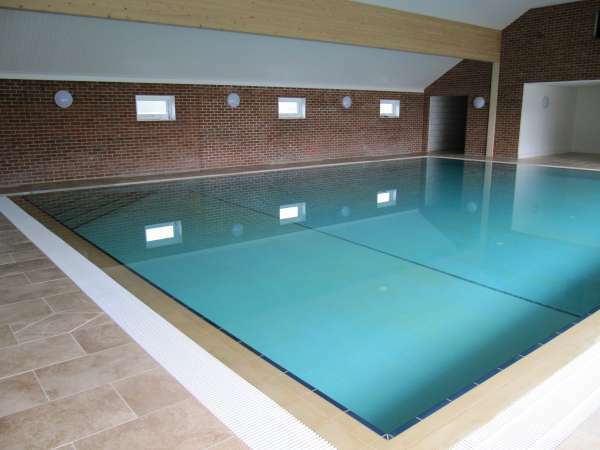 The pool is situated in the heart of the Waveney Valley on the Norfolk /Suffolk border within easy reach of Bungay, Harleston, Beccles, Halesworth and surrounding villages. 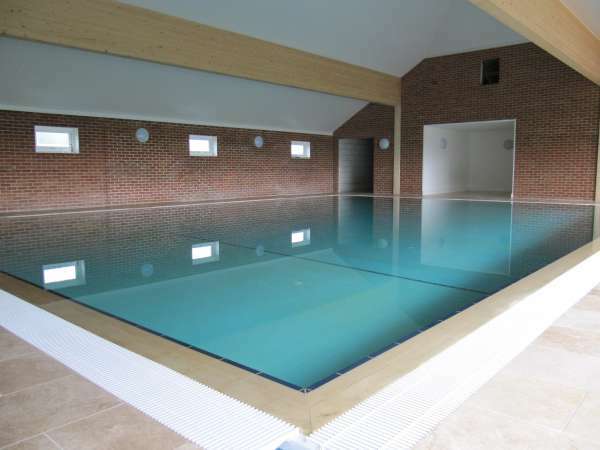 The pool has up to date technology designed with a view to looking after the environment (and our budget!) 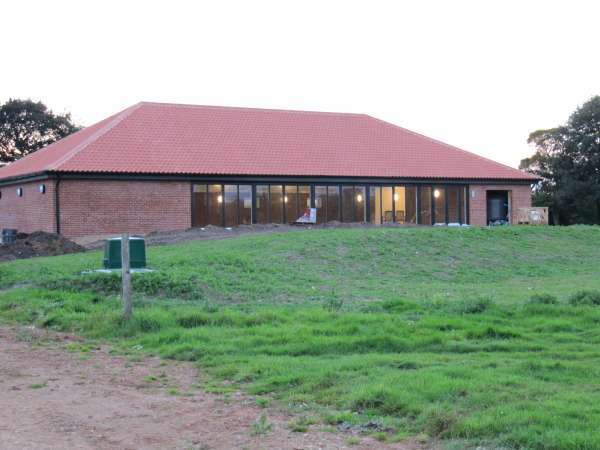 Fully insulated throughout, with energy saving glass and efficient air & water systems such as sensor lighting, heated floors, and timed water supply in the changing rooms.